Item # 295713 Stash Points: 3,995 (?) This is the number of points you get in The Zumiez Stash for purchasing this item. Stash points are redeemable for exclusive rewards only available to Zumiez Stash members. To redeem your points check out the rewards catalog on thestash.zumiez.com. 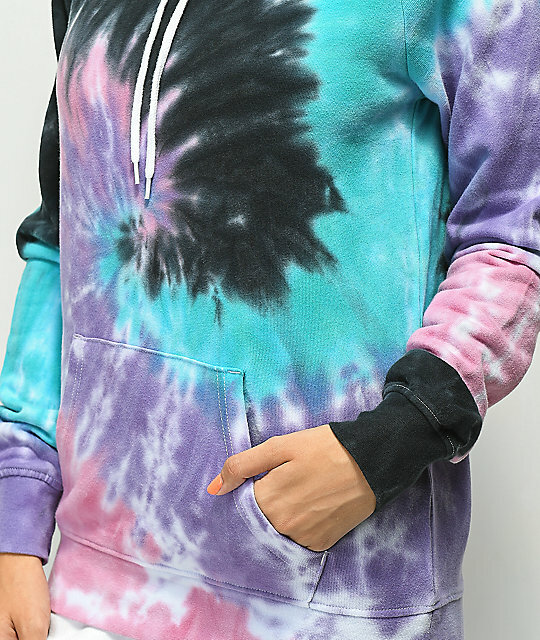 Keep your look casual with the Tera Blue, Purple, Pink & Black Tie Dye Hoodie from Zine. 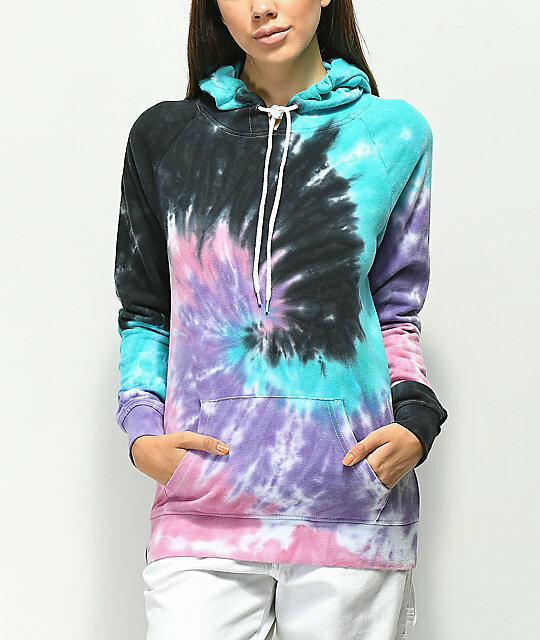 This cotton pullover sweatshirt features a multicolored tie dye design throughout, for a laid back look. 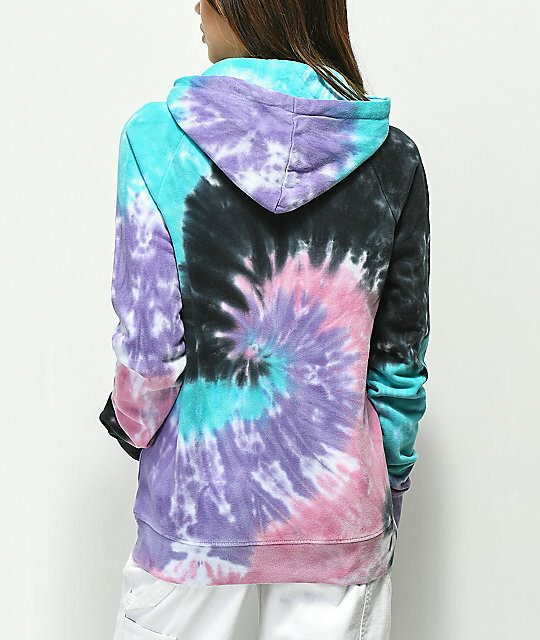 Tera Blue, Purple, Pink & Black Tie Dye Hoodie from Zine. Blue, purple, pink & black crystal wash design. 27" (68cm) from top shoulder to bottom hem.